Just email me at wb0002@hotmail.com with some proof you know how to do stuff on Web design. I will give you the password and you can help me! Also of you know how to fix the problem that it os to wide. I would like it if you helped. Hi I decided to update the site and give it a new look. I got a Playstation 2 and we sold the other one we got. 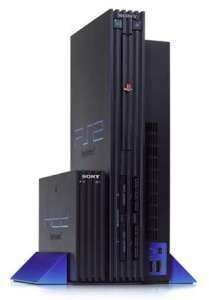 If you are looking for a good playstation 2 web site Click here this it were I get all of my info. Well hope you like the site. Its out and if you need a list of games email me. THERE WILL BE A WHOLE STACK OF GAMES COMMING OUT WITH THE RELEASE OF PS2. IF YOU WANT A LIST OF THEM EMAIL ME. JUST AFTER THE RELEASE OF PS2 THERE WILL BE LOTS OF GAMES COMMING OUT. PLEASE SIGN THE GUEST BOOK AND TAKE THE POLLS! PLEASE!! Are you going to buy ps2? Yes definally i have reserved mine! what is the best game system?